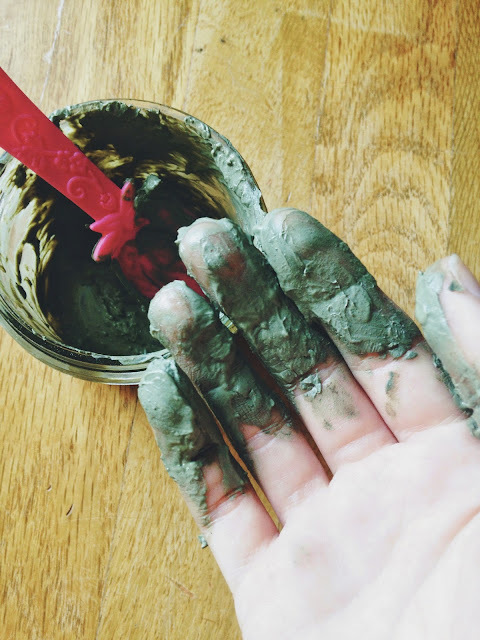 Last Summer, I purchased some green clay, and I have been experimenting with different green clay recipes. You can mix it with almost anything! 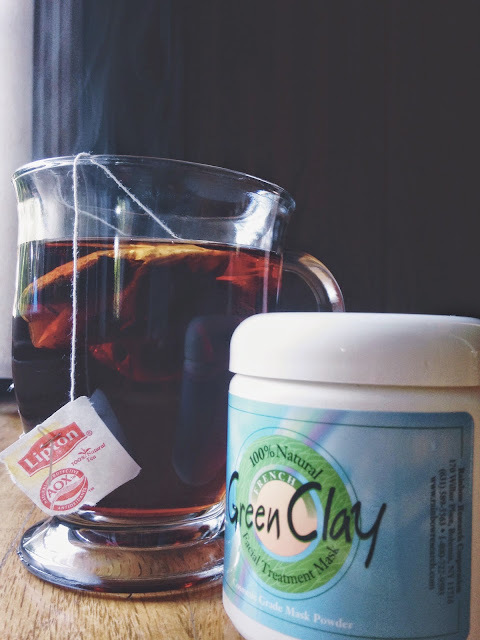 Yesterday, I thought about mixing the green clay with green tea mixed with black tea, so I tried it out today, and loved it! 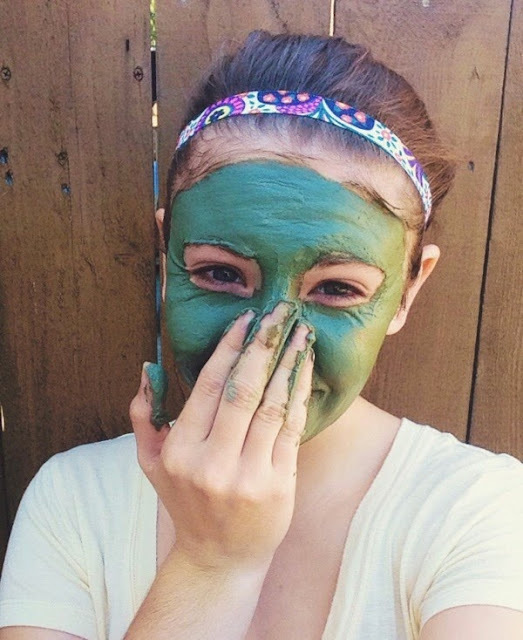 It was soothing, but as the green clay mask was hardening on my face, it grew uncomfortable, and crunchy almost. When I went to go rinse it off, it was as hard as rock, but leaved my face feeling beautiful. I felt it working in my pores, to help clear out my pores, and dry out impurities. I bought my green clay through Walgreens, and I love it! 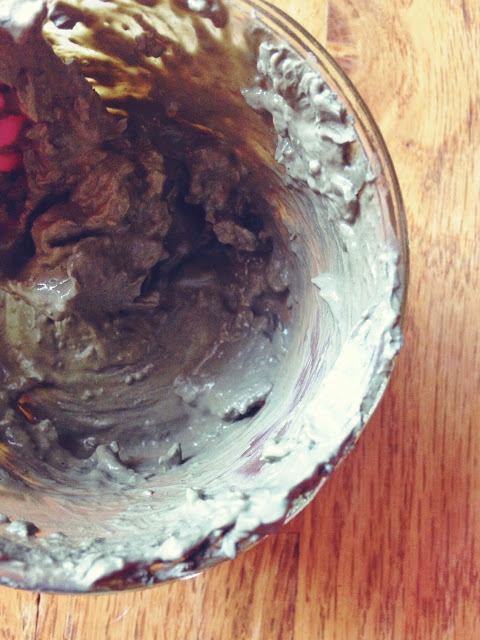 There are so many combinations in making a fabulous green clay mask. 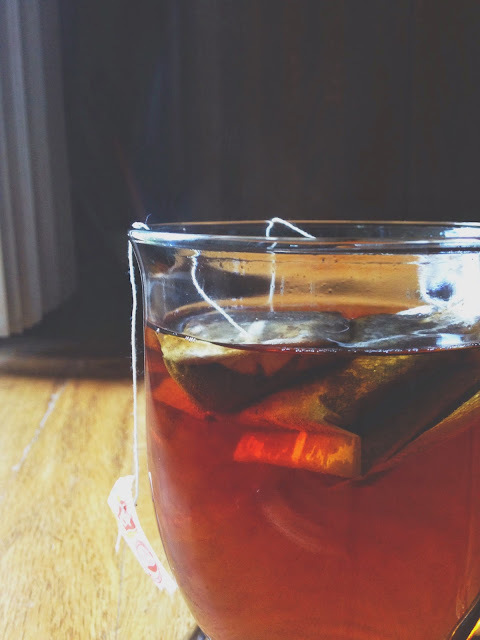 You can add plain yogurt, or milk, or water, or in this case, tea. All I did was brew two bags of black tea, and one bag of green tea, then I mixed a few tablespoons with about 5 tablespoons of green clay. I then smeared it all over my face, and waited for it to harden. 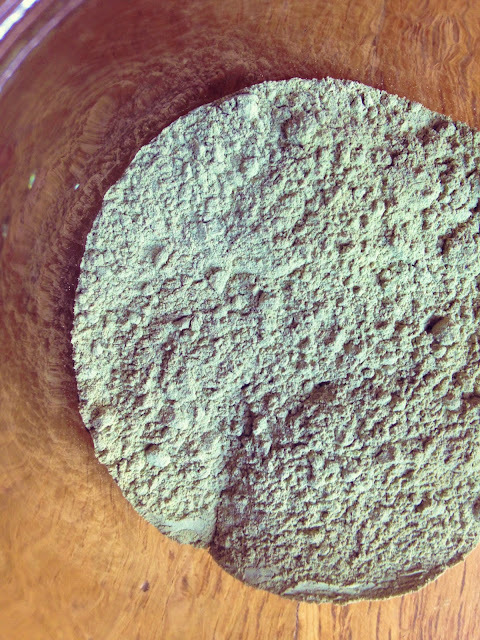 I read somewhere that you could use green tea to make homemade facial powder. I believe you can cut it with corn starch. That will be my next DIY beauty project. I had to share my traditional mask face. 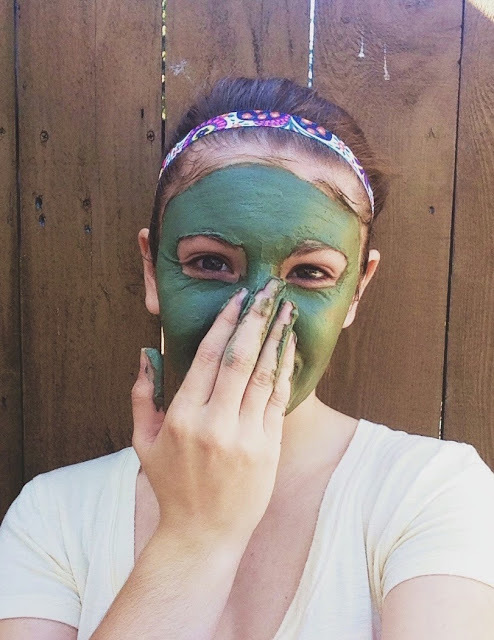 Whenever I review a facial mask, or a DIY facial mask, I always post a silly photo of me wearing the facial mask. The weekend is here! It will be a busy weekend, I have to study Anthropology. It is not so bad, it is my favorite class, and I am excited about my first exam. I am actually excited about a test! I really only started being excited about tests last year in Anatomy & Physiology. I loved taking my anatomy & physiology tests. I hope everyone has a fabulous weekend! Treat yourself to a facial.